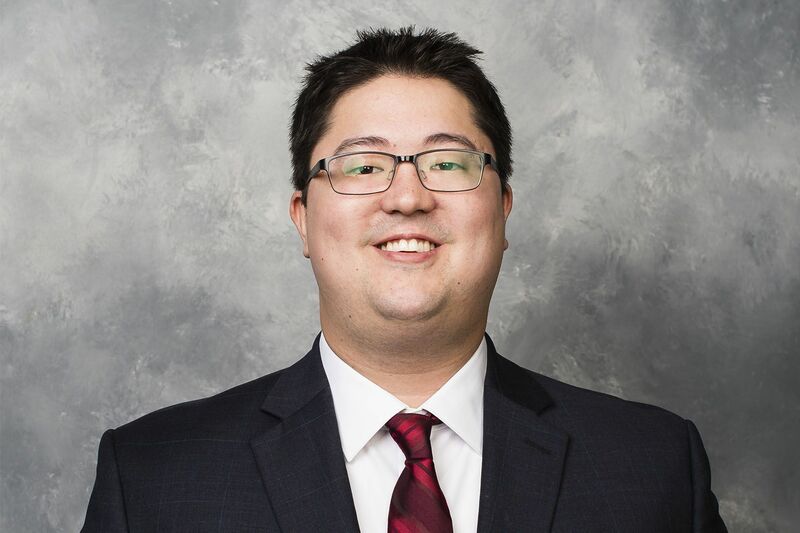 Tim Ohashi’s amazing journey, writes Dan Steinberg of The Washington Post, took him from “obsessing over sports as a kid in Bethesda to studying psychology and mathematics at Bates to landing an internship and then a full-time job” with his favorite hockey team, the Washington Capitals. Ohashi is the hockey operations analyst, a multitasking job comparable to “an NFL quality-control coach,” Steinberg writes. He got his gig the old-fashioned way, blanketing the team with resumes after getting a master’s in sports industry management at Georgetown. After the presidential election, Kate Haesche Thomson ’00 and Mark Thomson ’03 “had been alarmed by the stories” of harassment and intimidation, writes Aubrey Whelan of the The Philadelphia Inquirer. Since then, the Thomsons have become a distribution hub for a phenomenon: the “Hate Has No Home Here” yard sign that had appeared in 29 states as of late December. It started when Kate posted a Facebook note asking if anyone wanted one. 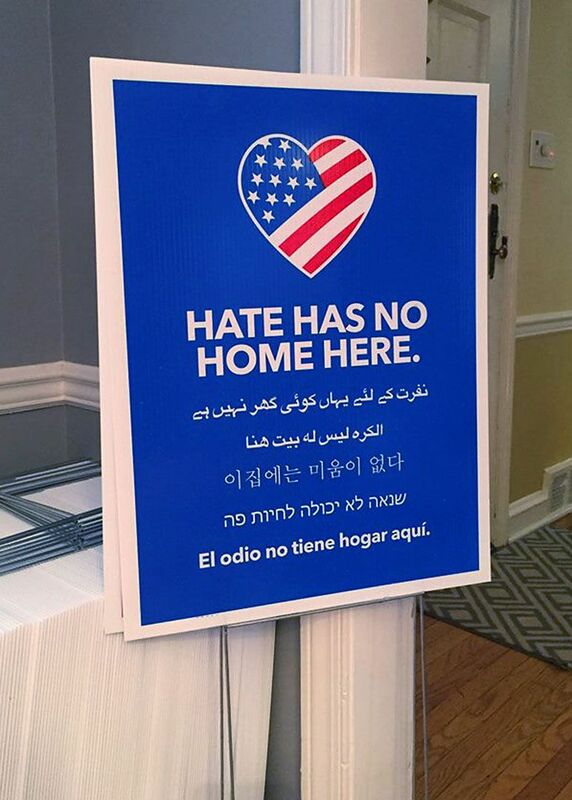 A “Hate Has No Home Here” sign, printed in several languages, stands in the Thomson home. A few signs became a lot more, and at the time of the Inquirer‘s story, they’d handled local requests for more than 1,800 signs that now “dot the roads in clusters” in their community. “It just blew up so fast,” Kate says. 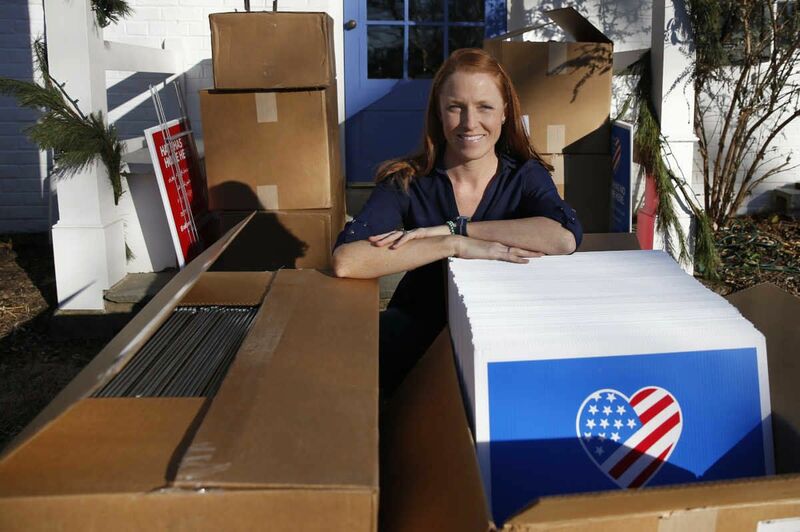 And as of Jan. 13, their number is more than 5,000 signs. Putting a sign out or wearing a pin won’t stop hate, Kate says, but as a marketing consultant she knows that “exposing people to a simple, memorable message can help it stick in their minds,” writes Whelan. 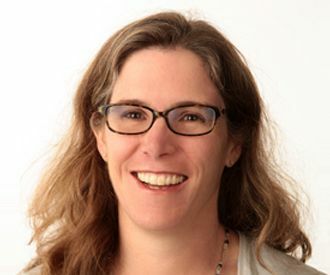 In an op-ed in South Coast Today, anthropologist Caitrin Lynch ’89 described how she “shelved” her college-professor routine and “went to work in a textile mill” in 2016 to do research for her new book. Caitrin Lynch is a professor of anthropology at Olin College in Needham, Mass. Even so, Lynch’s mill year drove home “the value of immersing ourselves in new perspectives.” Regardless of “our formal education” or “our political orientation or family backgrounds, each of us would benefit from seeing the world through the eyes of people unlike ourselves,” she wrote. 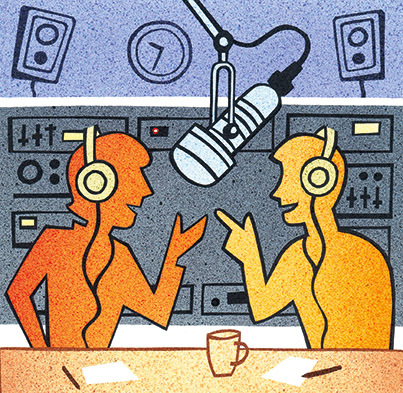 It was a throwaway mention, but kinda cool, when freelance journalist and radio producer Deepak Singh mentioned the Bates radio station, WRBC-FM, in his NPR essay about Radio Garden. Behaving something like Google Earth, Radio Garden lets you spin the globe to tune into radio stations worldwide.